"While the bathrooms aren’t the most glamorous rooms in your home, they happen to be some of the most important. 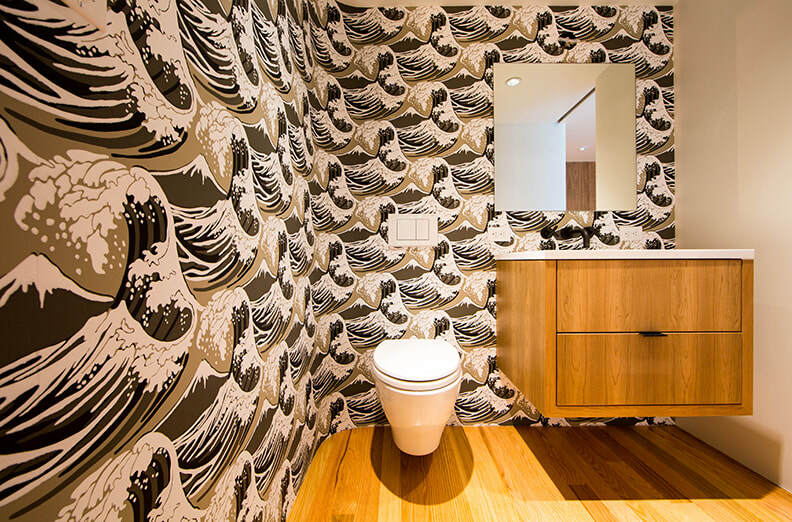 Just think about all the time you and every member of your family spends in them. 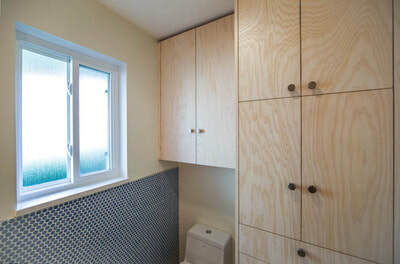 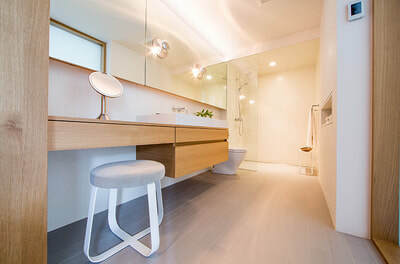 If you’ve been struggling with a bathroom that’s simply not up to par, then you know what a pain a poorly designed and unattractive bathroom can be! 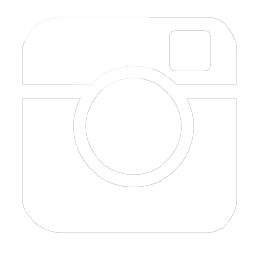 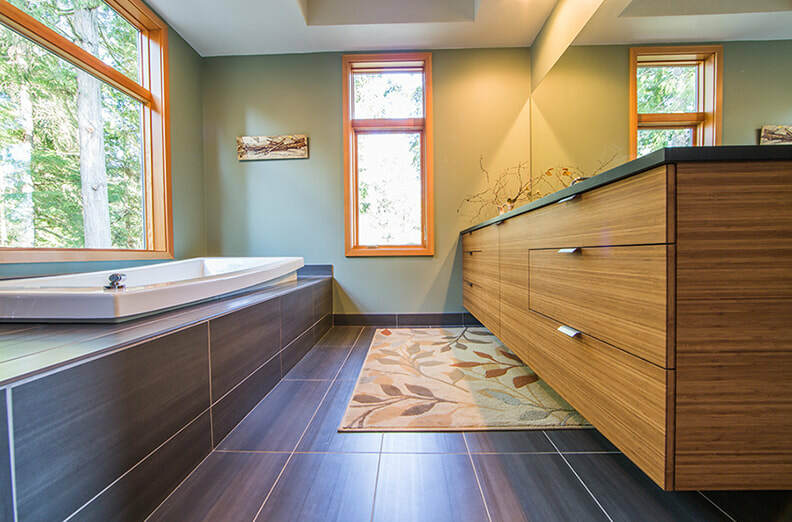 And, if you’ve got a new home that you’re building or designing, then you already know that you want functional bathrooms that appeal to your aesthetic sensibilities." Warmth in the vanity and flooring in this bathroom seem to connect to the outdoors. 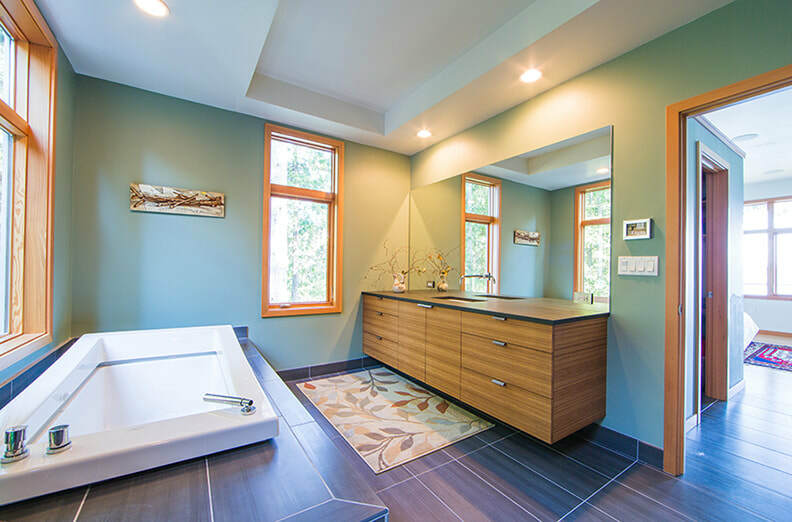 Windows let in natural light and scenery. 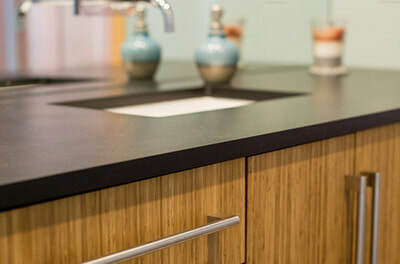 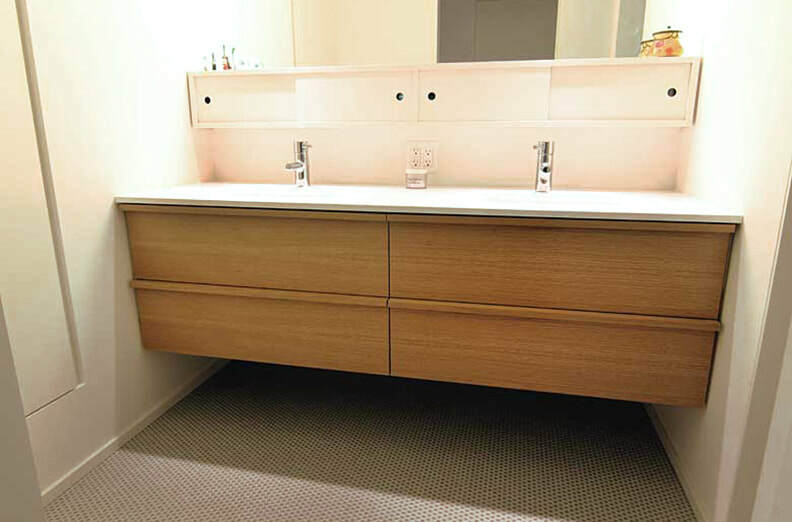 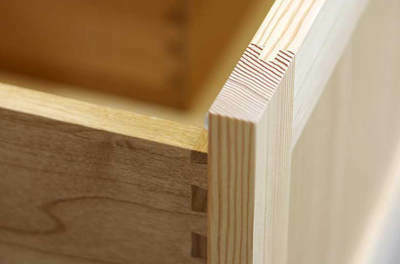 Our attention to grain matching results in a vanity with lines that flow seamlessly. 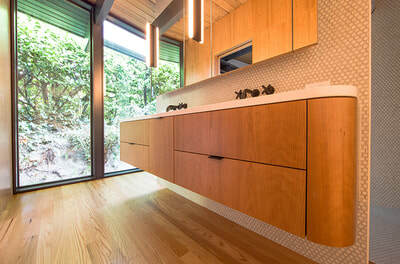 The beauty of custom cabinetry is that you can create a space that is unique. 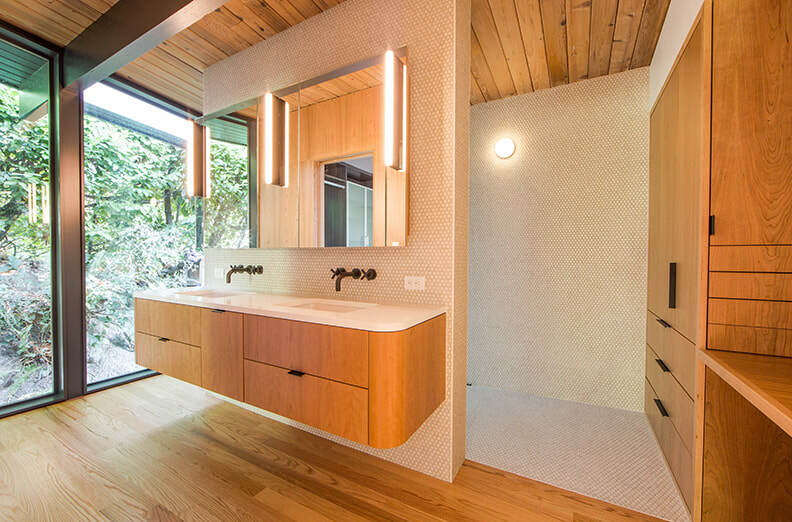 This bathroom is elegant and spa-like. 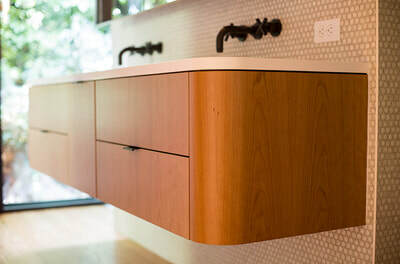 The warmth of the cabinetry is continued in the maple counter top supporting a lovely glass vessel sink and a custom box shelf. 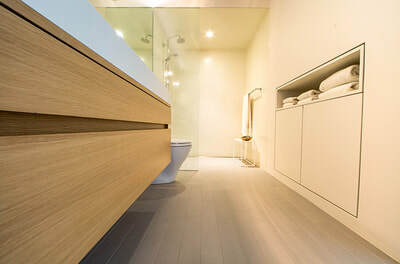 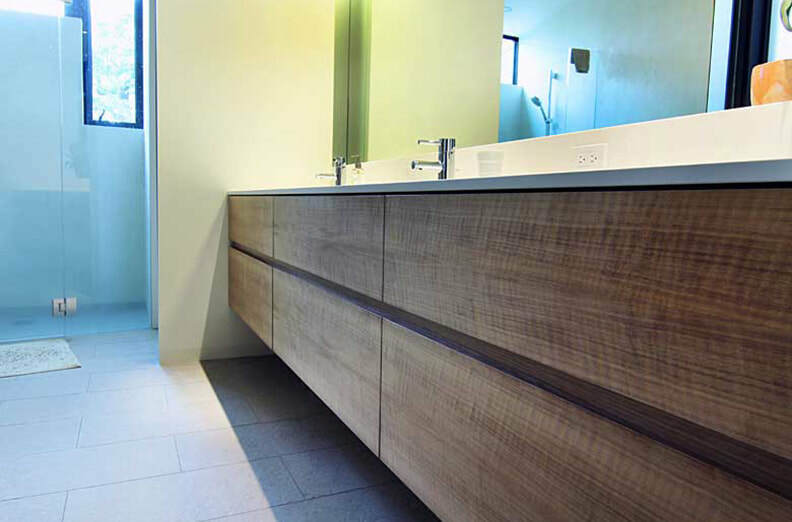 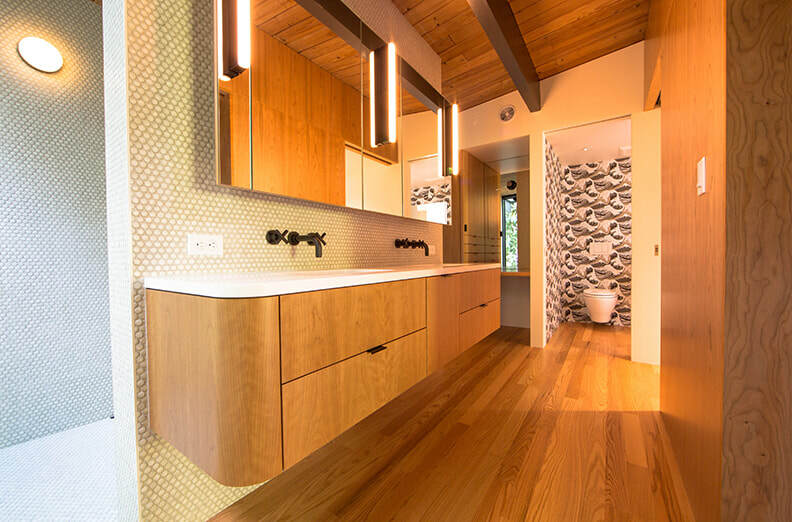 The walnut wood grain shines in this modern bath. 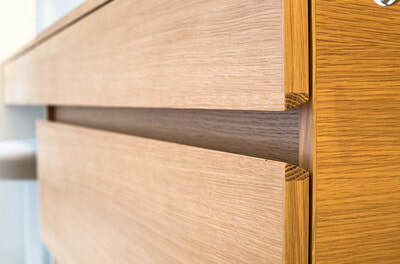 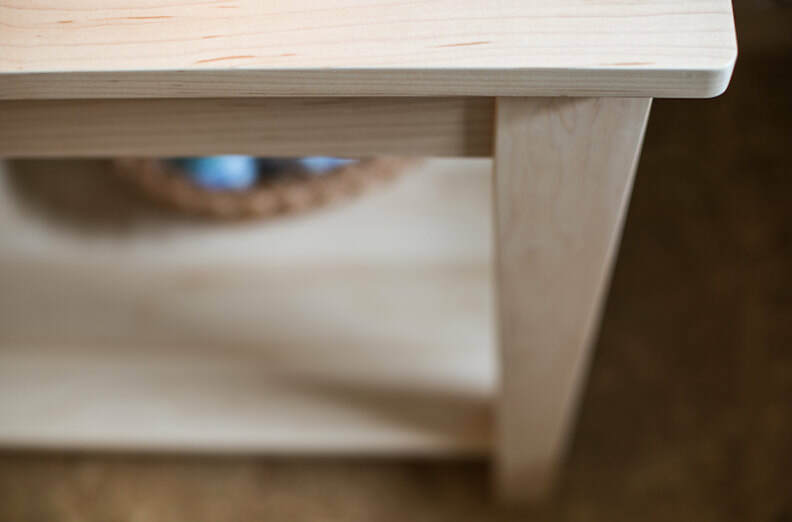 The drawers are designed function without hardware. Tile, chrome fixtures, and glass complete the modern look. 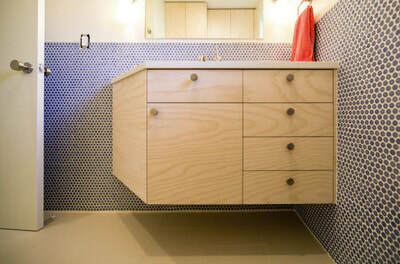 Great design is possible even in small spaces. 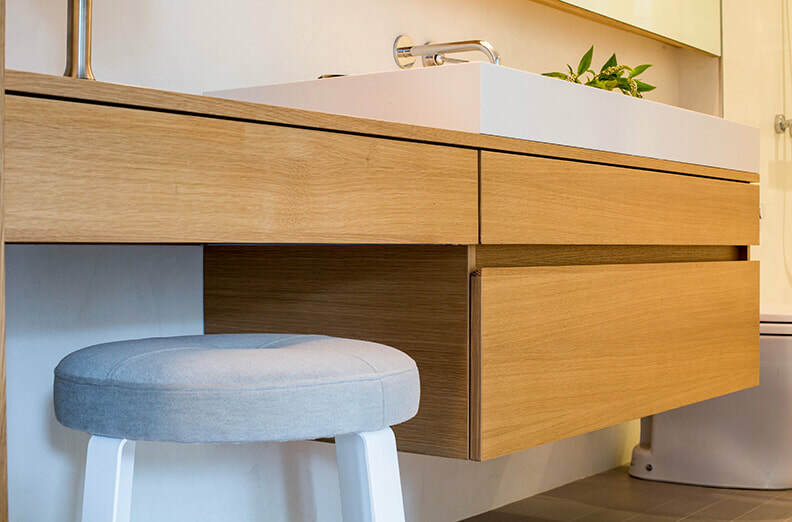 This floating vanity is perfectly proportioned for the space. 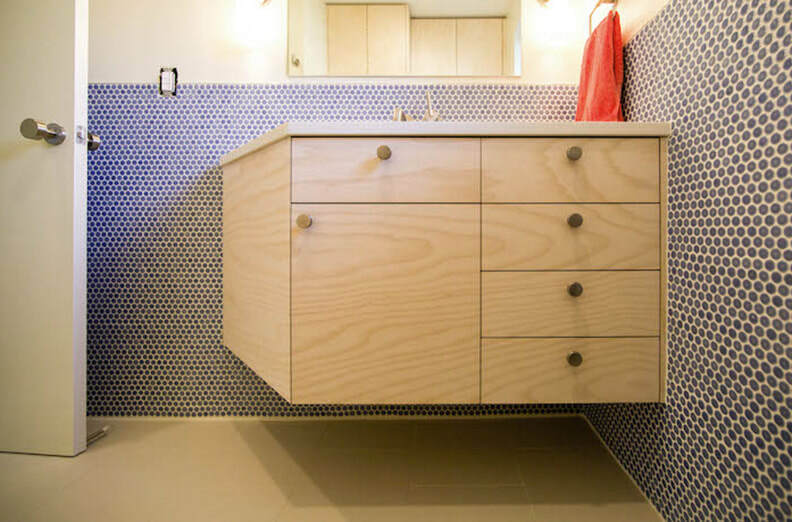 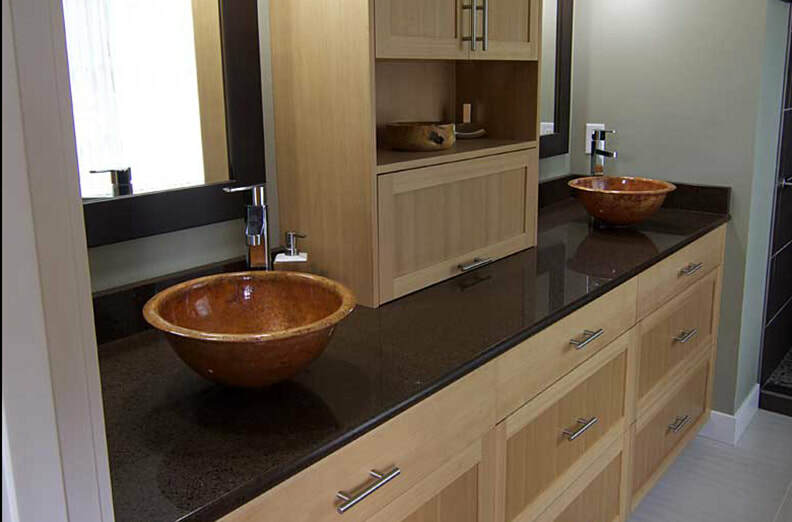 The visual weight of the vanity is lighter because it doesn't reach the floor. 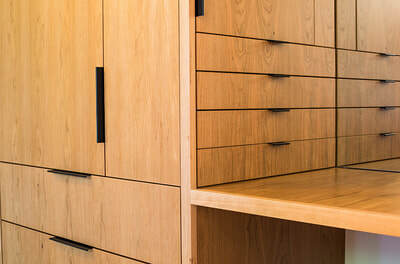 The drawers are designed to open without hardware. This vanity is curved and cool. 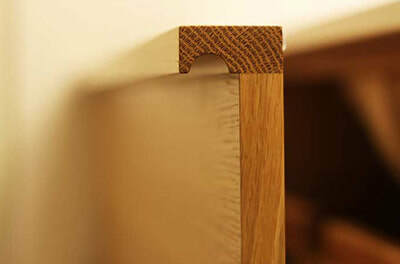 The rounded corners are stylish and unique. 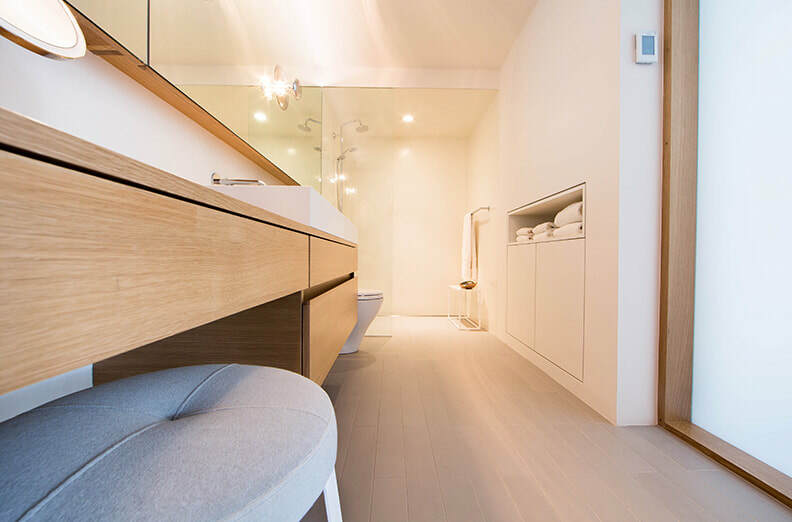 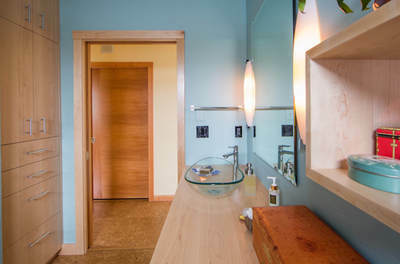 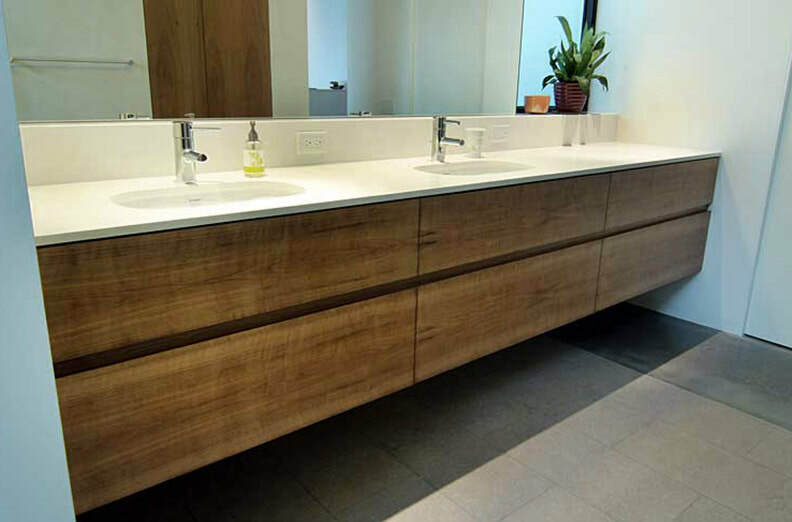 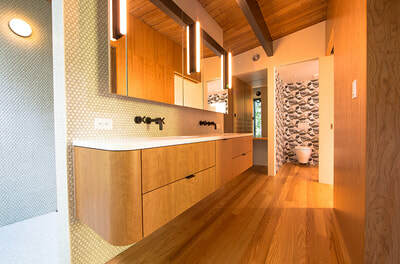 The entire space is warm with natural wood tones and the floating vanity keeps the design light. Even bathrooms can reflect the style of the homeowner. 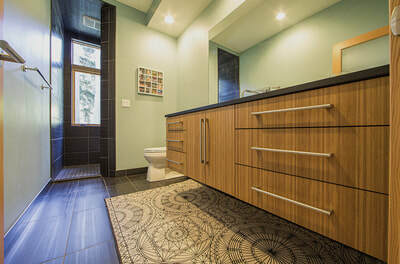 This bathroom is simple and whimsical and perfectly complements the modern commode and penny tile. This elegant vanity is unique in every way. The homeowners choice of copper vessel sinks creates an earthy look. The center counter top cabinet beautifully conceals daily items. 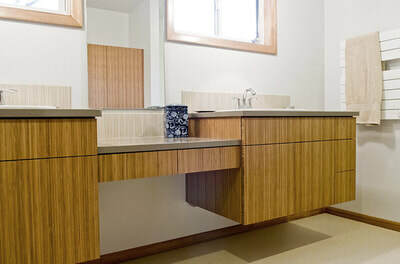 This bamboo floating vanity is subtle and serene. The wood grain stands out and adds interest to the space. 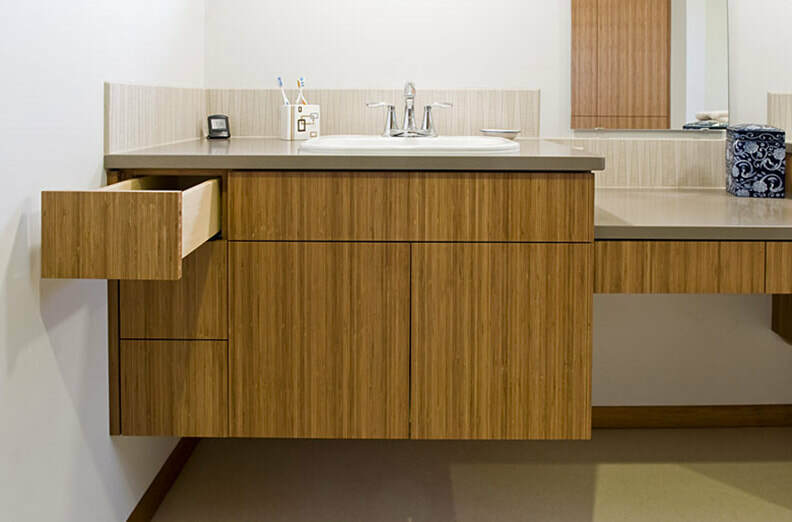 The varied height of the counters are perfect for the homeowners needs. This sophisticated space is light and airy. 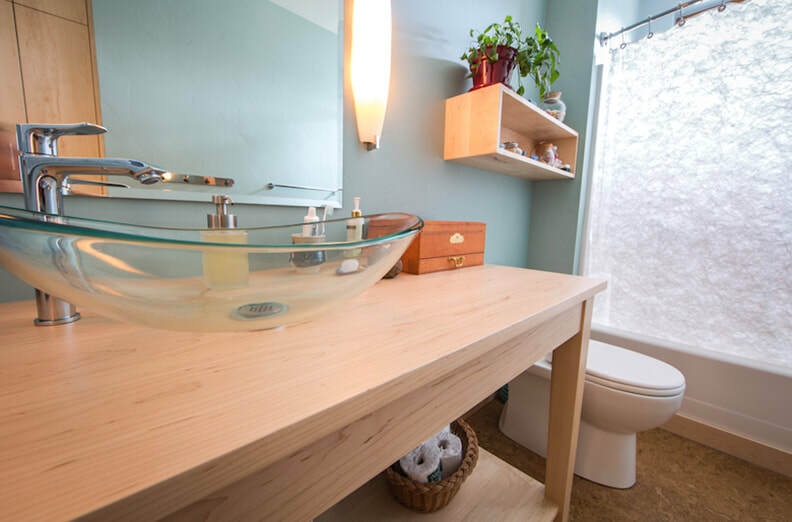 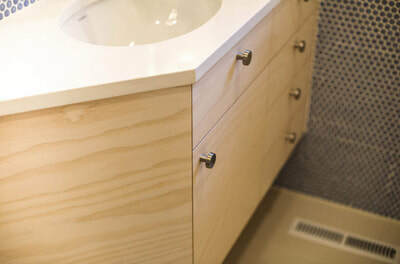 The custom vanity supports a classy rectangular vessel sink. 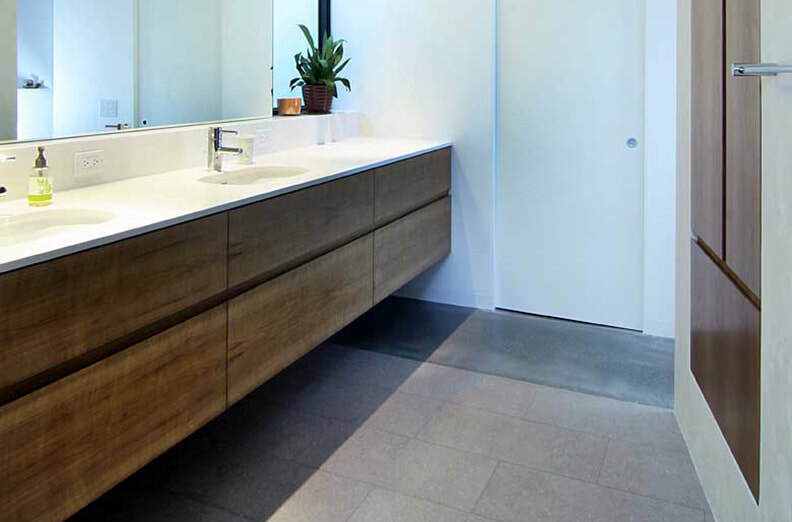 This bathroom is sleek and modern in every way.